OR A RANGE OF PLUMBING SYSTEM COMPONENTS. These types of failures can not only flood the basement and destroy furniture and other items stored there, but can cause severe damage in other parts of the house. 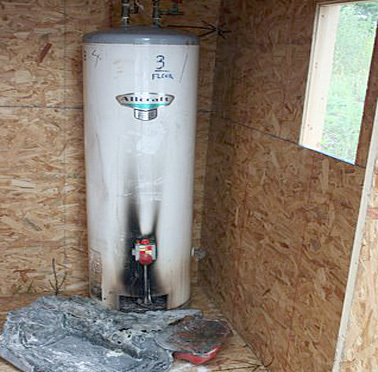 ISE investigators can determine the cause of failure and outline procedures to prevent future failures from occurring. 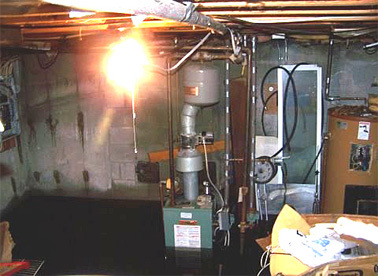 Failure of hot water heaters is a prime cause of basement flooding. ISE has the capability to build controlled testing environments such as this that allow us to conduct further on-premises tests of the actual failed equipment. Such testing leads to absolutely conclusive findings that establish cause of failure beyond any doubt. 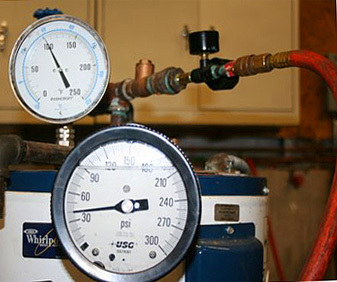 Pressure tests of valves and other fittings are conducted in our on-premises laboratories. When the failure of such components leads to damaging floods, this comprehensive laboratory testing always leads us to the correct conclusion. 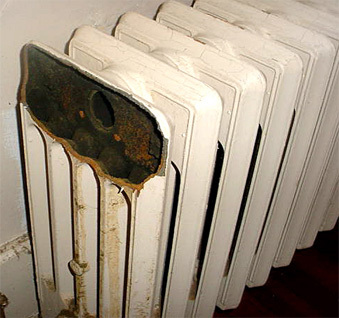 Radiators and other piping throughout the house can freeze, burst, then cause costly flooding and freeze ups. ISE's Comprehensive Freeze Up Loss Investigation can reveal the causes of these problems by utilizing a mechanical evaluation of the boiler or furnace.